On January 8, 1966 in Headland, Alabama, our Heavenly Father blessed John Lee and Arlene Thomas with a handsome baby boy Johnnie Thomas, affectionately known as “JT”. Johnnie departed this earth for his heavenly home on Sunday, September 2, 2018. He attended Headland High School in Headland, Alabama. In his children’s early years he was a coach for city league basketball and football. He accepted Christ at an early age and became a faithful member of Greater Shiloh Missionary Baptist Church in Headland, Alabama. He became a deacon, usher, youth leader and involved with all committed at church. He loved football and couldn't wait for the college and pro season to start. He was a true Dallas Cowboys and Alabama Crimson Tide fan. 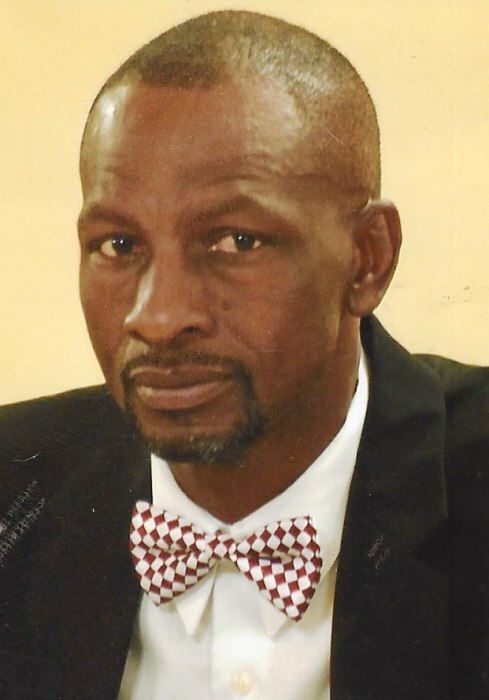 He worked with the City of Dothan for twenty-two years with a special crew. He also had a lawn care business that made all yards look immaculate. He leaves to cherish his memories: a loving, caring and devoted wife: Betty Thomas of Kinsey, Alabama; children: Justin (Jeronay) Thomas of Mableton, Georgia, Brandon (Robert) Thomas of Marietta, Georgia, Breyenna Thomas of Kinsey, Alabama and a special nephew/son: LaMarius Thomas of Kinsey, Alabama; his parents: John Lee and Arlene Thomas; siblings: Shellie Johnson of Dothan, Alabama, Roberta Thomas of Headland, Alabama, Diane Freeman, Felix Thomas, Irene (William) Anderson, Karen (George) Cooper, Dwight Thomas and Jasmick Thomas all of Dothan, Alabama; special aunts: Willie Ruth Thomas, Bertha Thomas of Dothan, Alabama, Mildred Phillips of Sarasota, Florida, Evelyn (Tony) Cody of Orlando, Florida, Nettie Ruth Johnson, Viola Johnson, Romonia Ingrana and Mary Lois Johnson all of Dothan, Alabama; uncles: Bobby Thomas, Sammy Thomas, David Thomas, Ray Thomas, Tellis Johnson, M.C. Petterson of Dothan, Alabama; mother-in-law: Corinne Salter of Headland, Alabama; sister-in-law: Mary (Rick) Wiggins of Abbeville, Alabama, Clara Salter of Webb, Alabama, Fredia Salter of Ozark, Alabama; brother-in-law: Andrew Salter, Jr. of Headland, Alabama; several nieces, nephews, cousins, friends and other relatives and a special work crew.